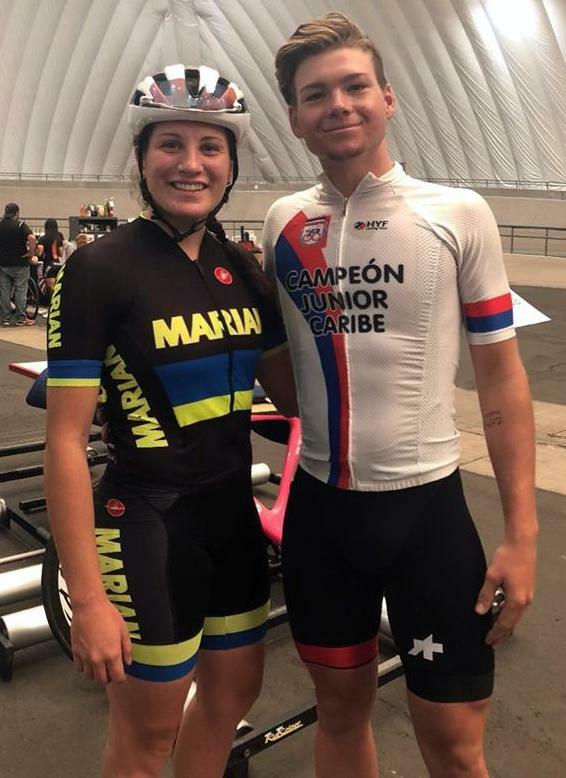 Gabriella Arnold and Kaden Hopkins continued competing at the USA Cycling Collegiate Track National Championships. Arnold is representing Marian University, while Hopkins is representing Fort Lewis College. Arnold missed out on a Final spot when she finished 2nd in Heat 2 of the Women Sprint 1/8 Repechage - 2 Laps. Arnold would then finish 10th overall when she finished second in the Women Sprint Final 9-12 place race. Kaden Hopkins finished 12th competing in the Men’s Pursuit Final - 4km - 12 Laps with a time of 4:43.764. Clocking a time of 4:21.273 saw Arnold finish the Women Pursuit Final - 3km - 9 Laps in 30th place.